I started with 2 coats of Lacquerhead Polish Blueberry Yum-Yum (post here) and added Lynnderella I Don't Mean Rhinestones, Deep Blue Seeing and Once In A Blue Rune (post here) in a gradient manner. 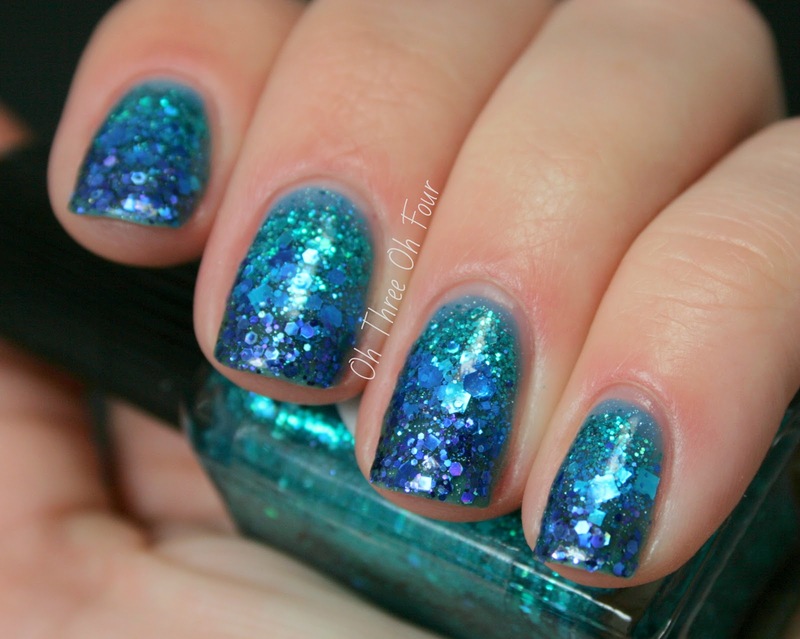 I topped it all off with Seche Vite. 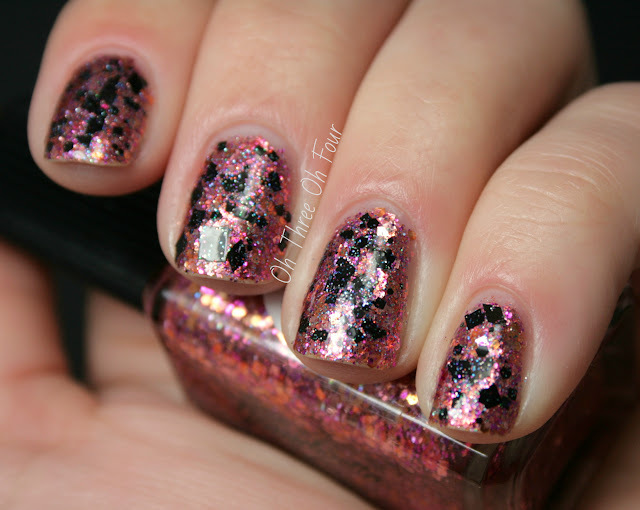 All nails are 2 coats of Lynnderella Common Sense with 1 coat of Evermore dabbed on and a top coat of Seche Vite. 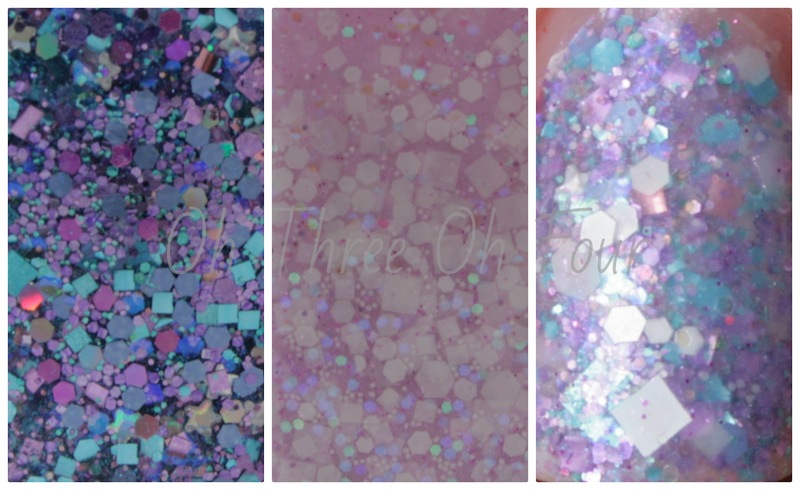 Purchase Lynnderella polishes through eBay here. You can also find Lynnderella fan pages on Facebook here, Tumblr here, Twitter here and Instagram here. I know there have been a few fake pages popping up here and there, but rest assured the pages I have listed are the only ones approved by Lynn herself. P.S. 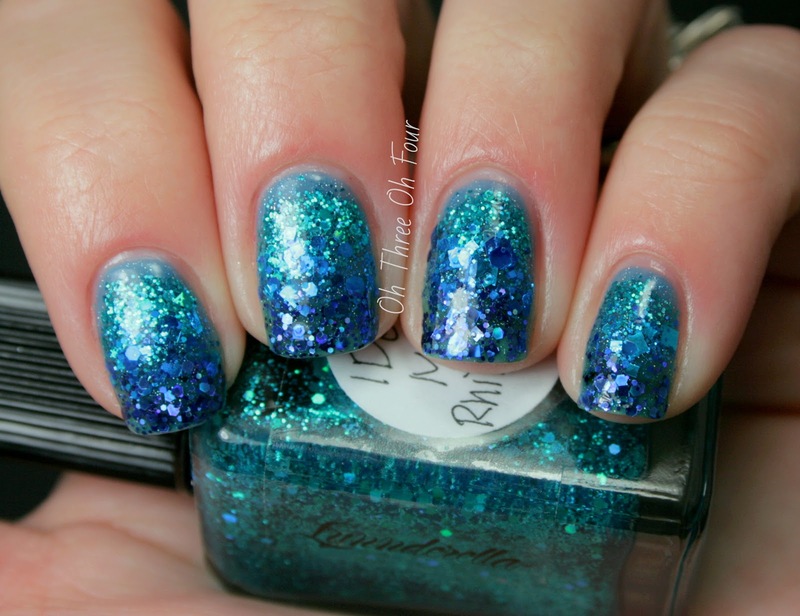 Feel free to leave links to of your pictures or blog posts combining Lynnerella polish! I would love to see them!